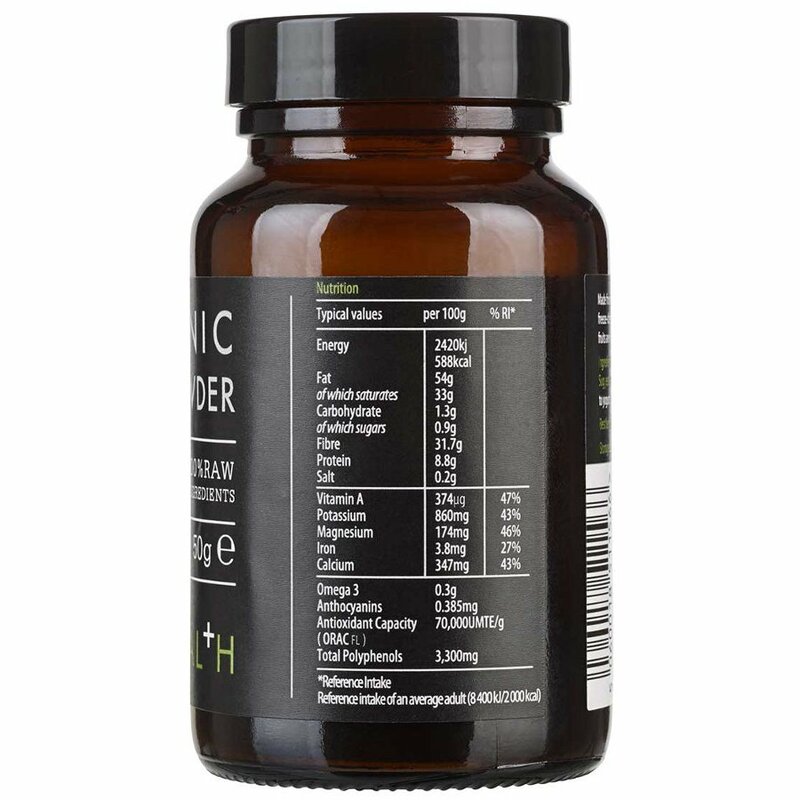 Made from organic, raw acai berries this supplement powder is high in Vitamin A, potassium, calcium, iron and magnesium to promote radiant skin, hair and nails as well boosting energy, supporting immunity and reducing fatigue. 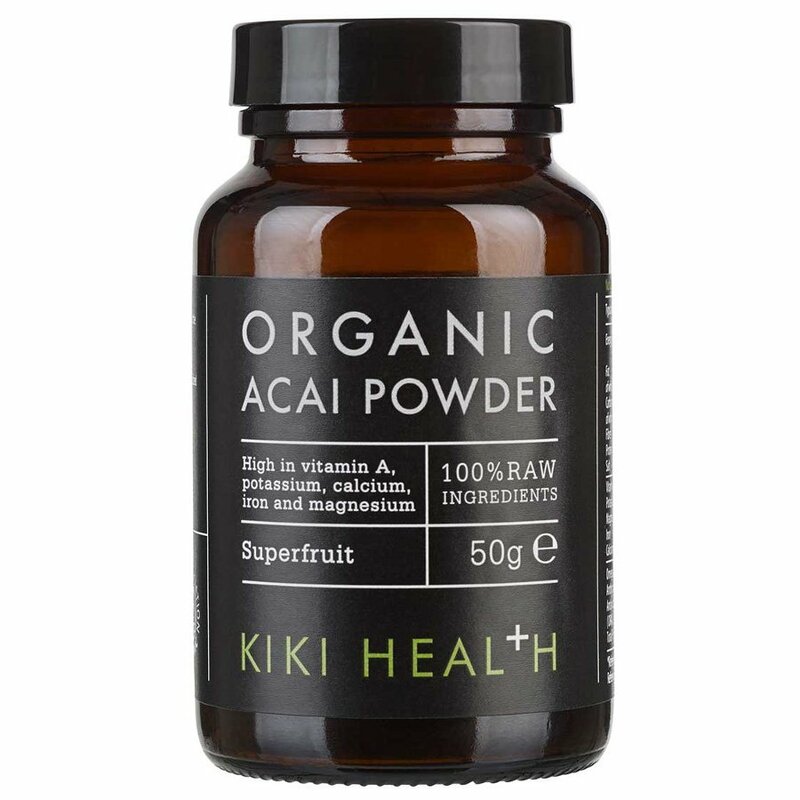 Kiki health use raw acai berried from the Amazon rainforest which are then freeze-dried to retain vital nutrients and flavour so you can make delicious smoothies or mix it with yoghurt for a nutrition boost. 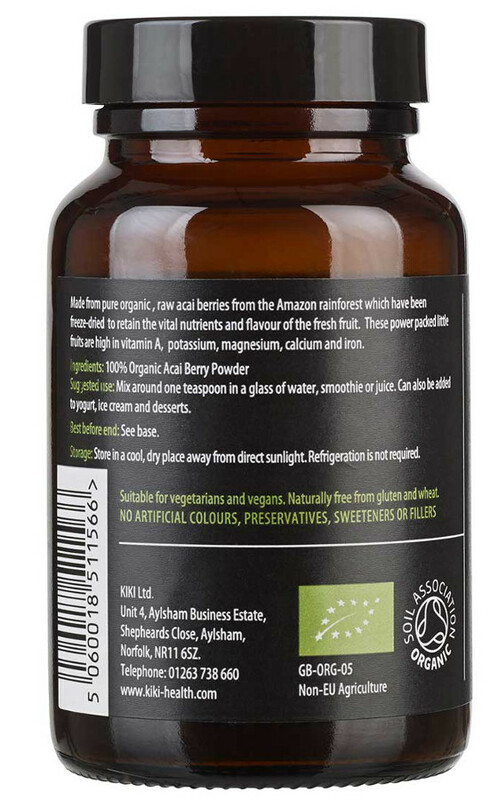 The Kiki Health Organic Acai Powder - 50g product ethics are indicated below. To learn more about these product ethics and to see related products, follow the links below. 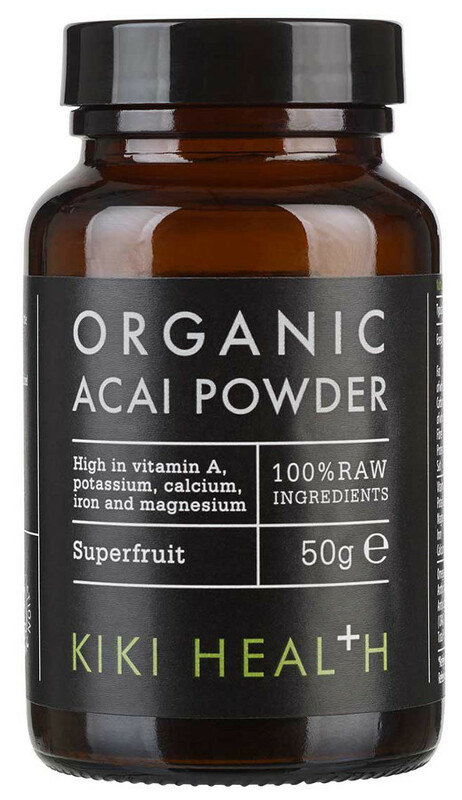 There are currently no questions to display about Kiki Health Organic Acai Powder - 50g. KIKI Health’s mission is to supply dietary and beauty products of the very best quality, purity and integrity from round the world. 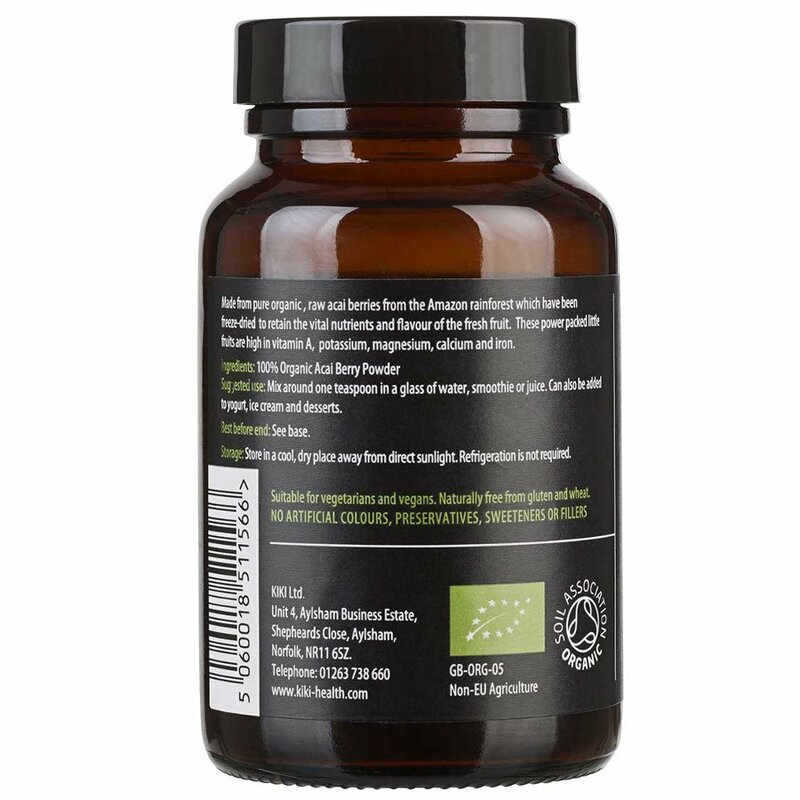 Their product diversity is predicated on an overall power to cleanse, heal, detoxify and nourish. KIKI believes that health is key to happiness and are dedicated to sharing the life-changing advantages of pure, power foods. 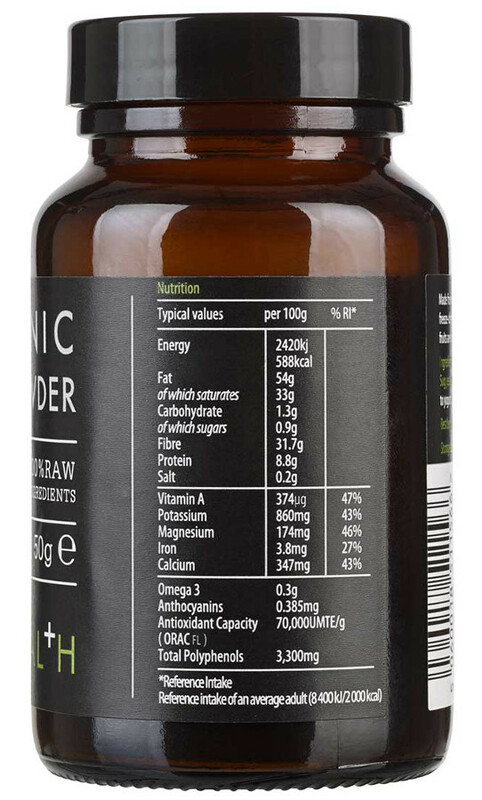 KIKI guarantees non-GM, non-irradiated and 100 percent active ingredients.